Two-dimensional Penrose type quasicrystal made using only two tile shapes: a thick rhomb and a thin rhomb. The structure proposed by Roger Penrose lacks translational symmetry and exhibits five-fold rotational symmetry not allowed in regular crystals. (Phys.org) —Ever since their discovery in 1984, the burgeoning area of research looking at quasiperiodic structures has revealed astonishing opportunities in a number of areas of fundamental and applied research, including applications in lasing and sensing. Quasiperiodic structures, or quasicrystals, because of their unique ordering of atoms and a lack of periodicity, possess remarkable crystallographic, physical and optical properties not present in regular crystals. In the article "Optics of photonic quasicrystals," in the March issue of Nature Photonics, Amit Agrawal, professor in the Syracuse University College of Engineering and Computer Science along with his colleagues from the University of Utah present the history of quasicrystals and how this area can open up numerous opportunities in fundamental optics research including possibilities for building smaller optical circuits, performing lithography at a much smaller length scale and making more efficient optical devices that can be used for biosensing, solar cells or spectroscopy applications. Up until their discovery, researchers including crystallographers, material scientists, physicists and engineers, only focused around two kinds of structures: periodic (e.g. a simple cubic lattice) and random (e.g. amorphous solids such as glass). Periodic structures are known for their predictable symmetry, both rotational and translational, and they were believed to be the only kinds of repeating structures that could occur in nature. From basic solid state physics, these structures are only allowed to exhibit strict 2, 3, 4 or 6-fold rotational symmetry, i.e., upon rotation by a certain angle about a crystallographic axis, the shape would still look identical upon each rotation. It was not believed that there could be a structure that existed which violated these four symmetry rules. Random systems, the other big area of research, looks at amorphous or disordered media like gases. 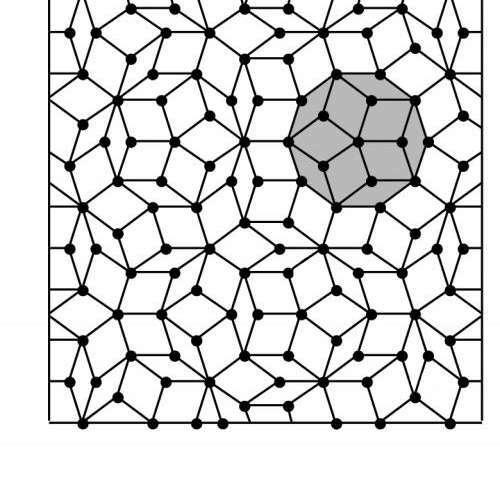 The introduction of quasicrystals - an ordered structure that lacks periodicity, exhibits some properties similar to periodic structures (such as atomic ordering over large-length scales) while violates rotational symmetry rules associated with them (i.e., a quasicrystal can exhibit 5 or 8 fold rotational symmetry) - was an area initially met with resistance from the research community. Agrawal explores this transition from skepticism to the ultimate acceptance by a growing number of researchers exploring the potential of these unique structures. What do phasons look like?